Now you can listen to Krishna conscious radio stations via smartphones anywhere you get a signal. 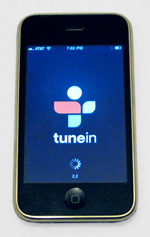 Tune in to your favorite station while driving to work or school, or anytime you're out and about. Read our smartphone radio instructions to get started. You can, of course, listen to these stations on your computer, using software like Winamp or iTunes or VLC to open the below links. Read the streaming audio how-to for help.